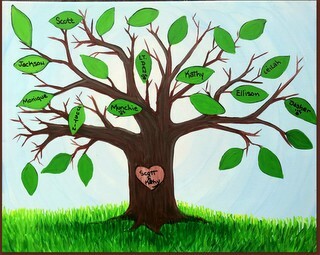 Paint a Family Tree. Add many leaves as your family expands or add all your past & present family members. Don’t forget your pets. Have a list of names prior to the event so you don’t forget someone. This is a 16×20 Canvas. Felt tip markers and paint pen will be available for lettering.